Almost everyone would agree that buying earphones and headphones is a daunting task. It seems like making a lifetime commitment simply because you will use them for a long time. The difficulty in choosing the right one is pegged on the variables involved. Too many variables are to be considered when choosing the right equipment. You have to consider the design, comfort, sound quality, connectivity, and multiuse – say using the headphones for music, games or with your phone. Mostly, people buy headphones because of two major variables. How they look and the cost. What this article aims to demystify, is that those two variables are not enough towards choosing the right headphones. 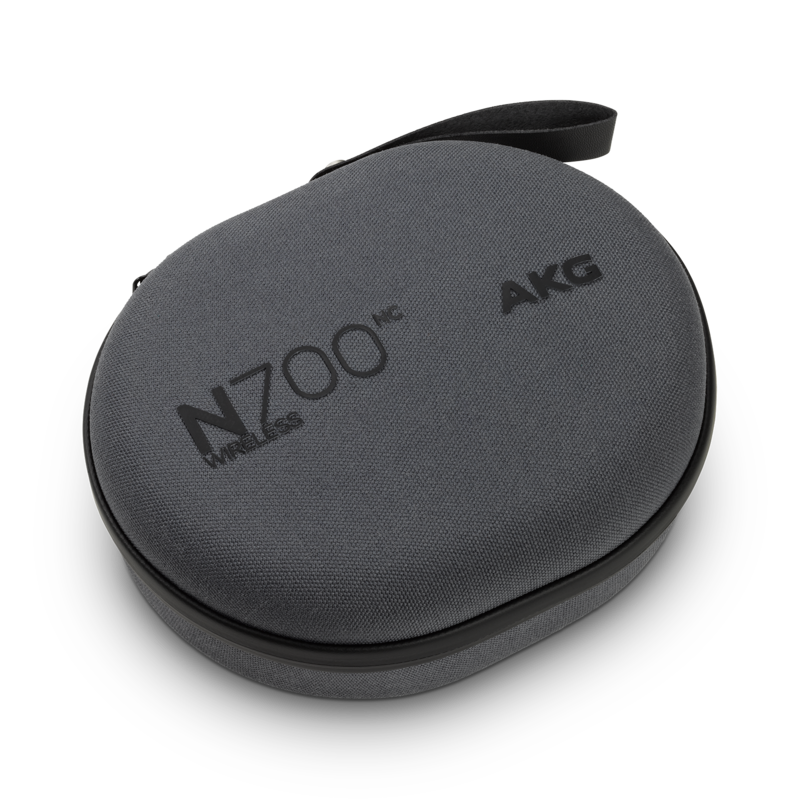 It seeks to take you through AKG’s N700NC variables to help you understand what you should look for. 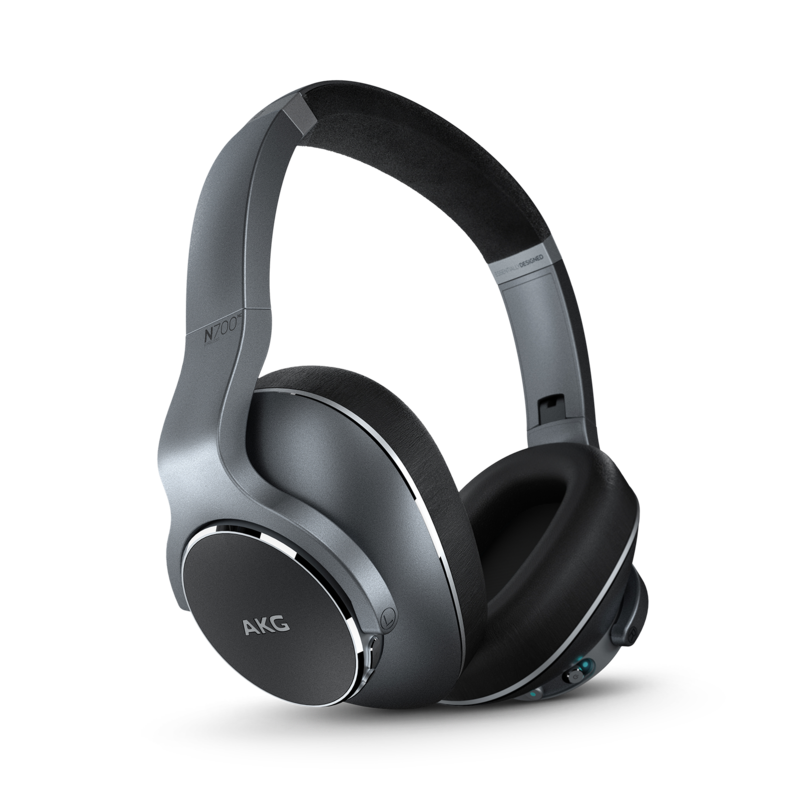 It also seeks to show you why AKG N700NC is a formidable competitor among other brands like Sony WH-1000M3 and Bose QuietComfort noise cancellation headphones. As confusing and technical as the variables can be, they are definitely important. In regards to choosing the right headphones for you, with variables, you actually get to understand what you are paying for. So, let’s step into it. 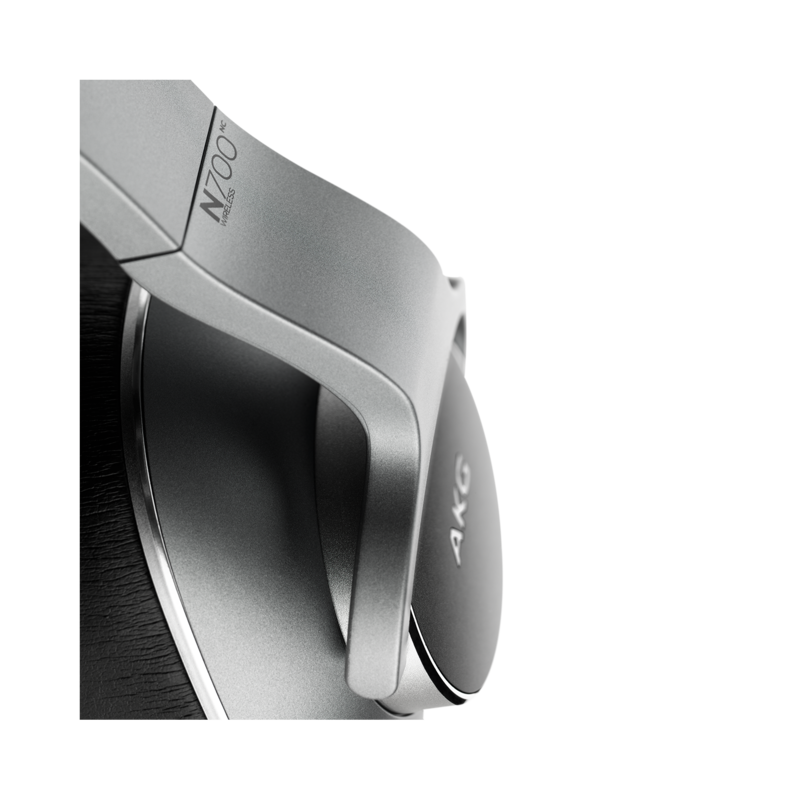 AKG N700NC is a first-class adaptive noise cancellation headphone with comfort-fit ergonomics to suit many people. The Bluetooth enabled device gives you 20 hours of battery life. After which you could flat fold it and store it in its premium portable package. What more could you ask for? Full control of settings via a phone app? Well, you got it once you purchase the AKG N700NC headphones. AKG has a track record for making beautiful products over the years. Although, this time the design team actually outdid themselves. They put out a product that looks sophisticated and futuristic. First impressions are positive and impressive. At first glance, you are amazed by the sleek silver and black plastic chassis. Chrome and silver accents around the buttons and the edges of the earcups give the headphones a facelift as well as a sophisticated feel. However, most people would have liked variability in color. Only available in silver gives the headphones a cheap feel. 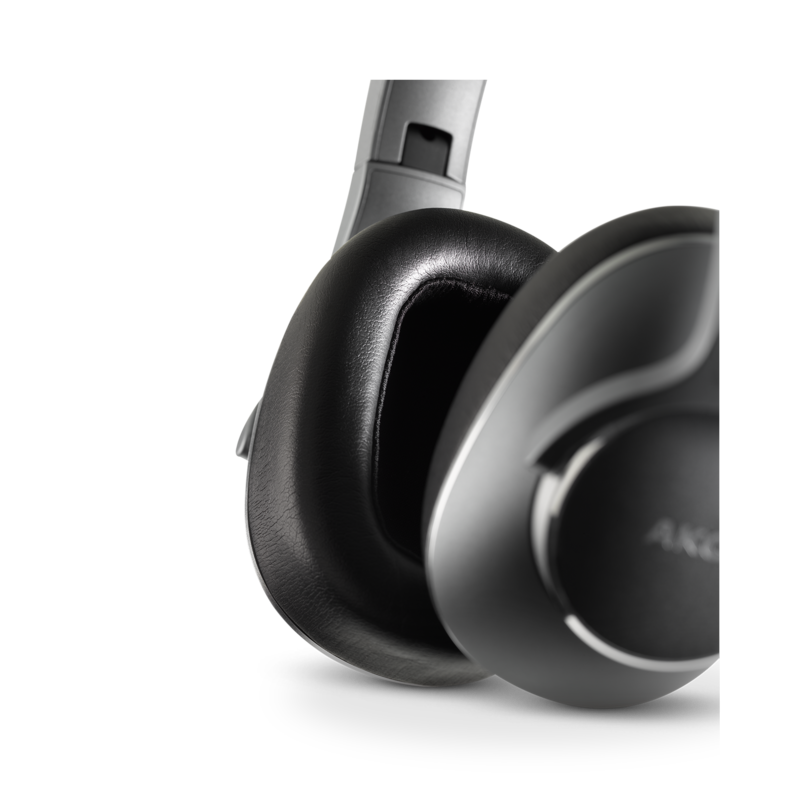 The large leather-lined earcups are accented by an AKG logo on the silver-colored exterior. The headband is designed to taper away from your ears almost like a peanut shell shape giving room for the earcups to wear comfortably over your ears. Midway and towards your head top, the headband caresses your head to take away gravity exerted by the earcups on your ears. Have you ever worn headphones and after a while of using them felt like your earlobes are becoming hot? This is due to gravity pressure from the cups on your ears. With the headband design in the AKG N700NC, that is taken out. The headband still has soft black padding under the mid-section to comfortably rest on your head while in use. The cups are heavily padded to rest easy on your ears and help keep the sound concentrated on them. Padding is made out of memory foam. It is one of the most comfortable materials to be used on headphone earcups. The headband is adjustable to fit all kinds of users. The entire headphone is made out of plastic but may seem a little heavier than standard headphones. Some people would say that the headphones are slightly uncomfortable. To some extent, this might be true but overly compensated by the sound quality and features. Sound can be considered as the most important variable you should look for in a headphone. This variable has, in fact, propelled brands like Sony, Bose, and Beats by Dre to industry leaders. This is the same for AKG. The firm is known for its acoustics-engineering capabilities since its inception in 1947. Therefore, its reputation has been established over decades of quality work. Like any other AKG’s, this pair is easy enough to listen to. 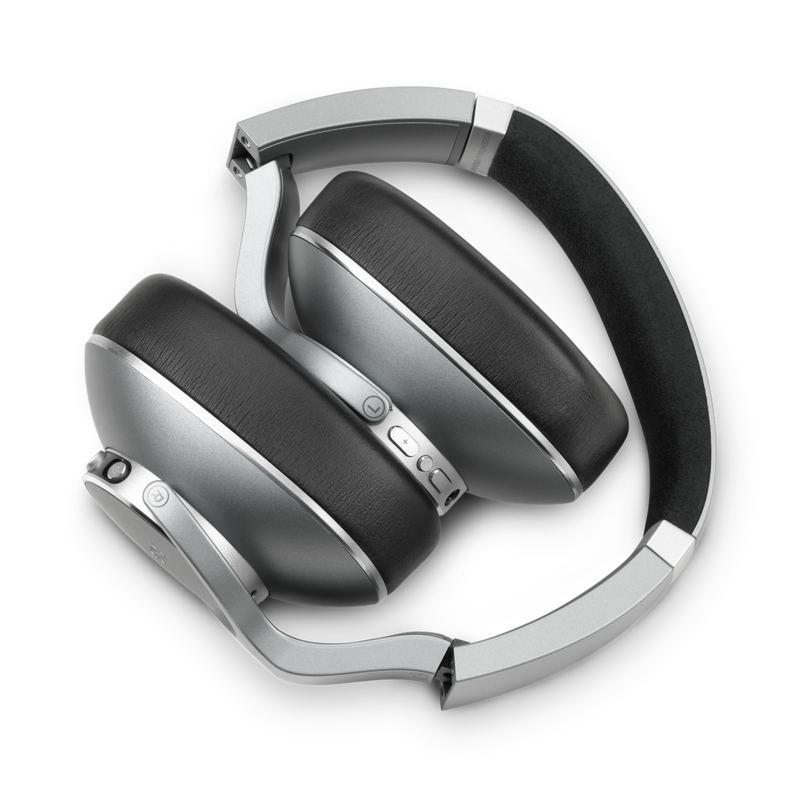 It has a solid and controlled sound earning it the title of a good sounding pair of closed over the ear headphones. Generally, they have excellent, deep, punchy and consistent bass. Its mid-range is flat and its treble range is very good. With bright tracks that have less bass kicks, they can sound a little bit bright on the treble. This is slightly accredited to the acoustic sound quality AKG goes for. The AKG N700NC has an excellent bass response with a low-frequency extension reaching 10Hz. This is great! For range, it is generally flat and well balanced. This gives you neutral bass with great lower bass levels. Low bass levels are good for EDM and hip-hop genre music. Mid-bass is flat and within 1.5dB. It is responsible for the body of bass guitars and the punch of a kick in beats composition. Midrange performance is still flat and within the 1.5dB target. This kind of performance is ideal for clear vocals and lead instruments. You could clearly hear music vocals. They are not swallowed by the sound of instruments in the background. The output simulates you being in the performance room and hearing the vocals just close to your ears. The treble performance is good despite it feeling rather uneven. It is fairly flat across the whole range. As stated above, the treble could sound a tad too bright noticeable on lead instruments, vocals, and cymbals. Overall, they sound quite good and have a great treble range. Features and connectivity can be considered as the second most important variable to consider when purchasing headphones. With a price point of about $320, you should be getting options out of the AKG N700NC. The gadget has Bluetooth 4.2 though, it is not armed with aptX compatibility limiting smartphone and tablets users from getting quality sound. The same disappointment is shared with the Bose Quiet Comfort 35 ll. The lack of aptX means that the headphones are prone to lip sync problems when watching a video. This is when the lips move before you get to hear the sound. The button arrangement is straight forward and remarkable. The buttons are spread out through both the earcups. The division helps the buttons not be crowded on one earcup. It makes it easy to access the buttons when the headphones are worn and in use. The volume and play controls are on the left cup while power and noise cancellation buttons are on the right. Long press on the volume down skips a track back while volume up skips a track forward. The circular button between the handle is used for playing and pausing. All buttons respond with a solid light click. The power button slides. When slid and held in one position for three seconds, it begins the pairing sequence. You will also be prompted to download the app. 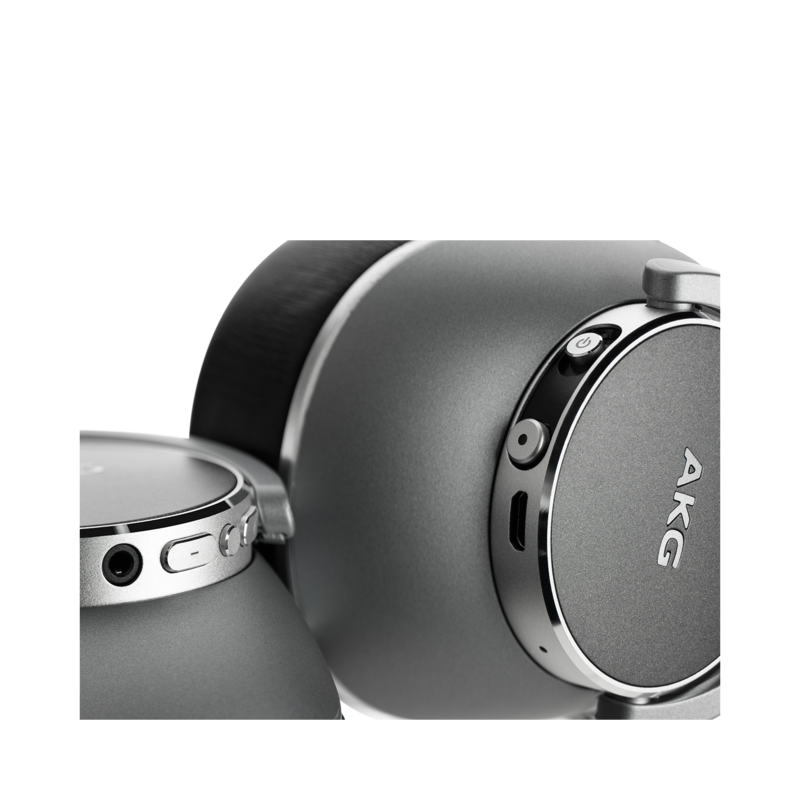 The app enables the user to control the Smart Ambient feature that comes with all AKGs. Controls allow the user to drop noise cancellation and volume down a notch to allow for outside noise. The option is available under Smart Ambient. The other option is called Talk Thru. The option completely drops the volume. It means that the user can have a conversation with someone else rather than take the headphones off. The app also gives you access to the headphone’s equalizer. It helps you customize your own sound. With noise cancellation and Bluetooth turned on, the battery will last you 20 hours. If you wish, you could opt for wire connection and extend battery life to 36 hours. Although some fans may prefer USB-C charging, AKG N700NC offers micro USB charging option. However, it is not the end of the world so a micro USB cable would do. 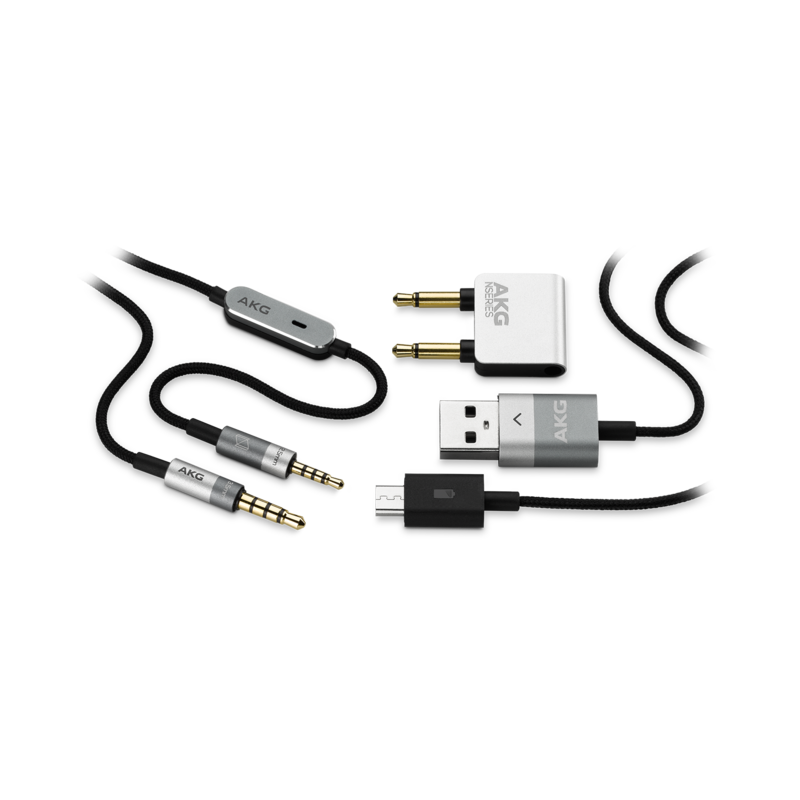 Once you purchase the headphones you get a USB charging cable, an audio cord, and a plane adapter. The audio cable is fitted with a phone receiver for when you wish to receive calls through the device. The cable gives you the option of foregoing the wireless option. AKG also gives its user a carrying pack. The headphones can fold and be stored inside. The case has an inner pocket to allow you to neatly carry your chords and adapter. Recommended for listening to music. Not suitable watching video and listening wirelessly. At the price point of about $320, AKG’s N700NC is quite affordable especially if you consider the variables you’re getting.